Partnership blossoming despite players letting us down - Ethan's away days and player ratings! 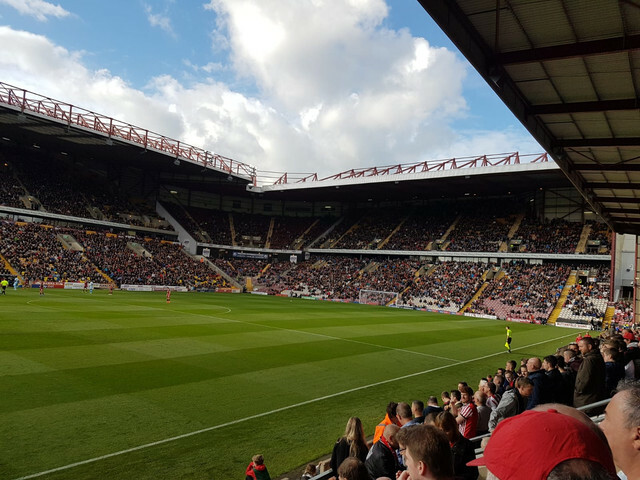 After a draw midweek against high flying Peterborough United, Sunderland were in desperate need of a win at Valley Parade. The Wearsiders had not won on the road since a 2-1 victory over AFC Wimbledon in late August. Sunderland played in last season's away kit with this season's sponsor on due to a kit clash. Jack Ross was forced in one change which saw Bryan Oviedo out suspended for Reece James; he also opted for the returning Lee Cattermole to replace Dylan McGeouch whilst George Honeyman could only make the bench. We got there fairly early as we'd went straight down without a stop (it was only a couple of hours drive), we parked up near the ground which has very few things to do around it. 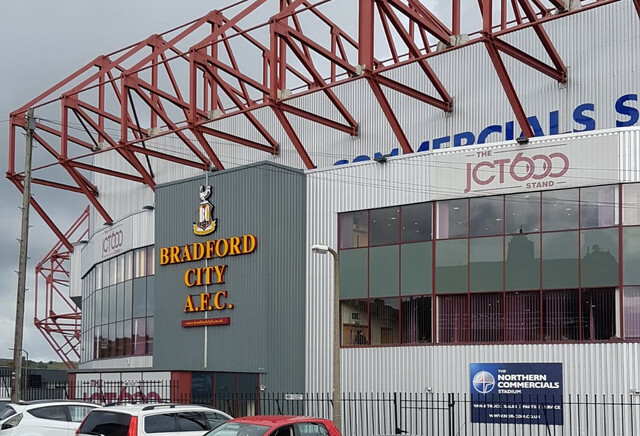 Instead, we walked about 15 minutes into the city centre and went to The Queen which wasn't exactly rammed but had a few Sunderland fans in who'd came by train, as it was right next to Bradford Interchange. The ground itself is a one I'm familiar with but doesn't stop it from being a bit of a dump! I was lucky enough to be in the East Stand, the only away stand which sold alcohol, mind you it was Carlsberg so cider was the more popular option. For a change, it was an exciting and tense match. The first half saw Sunderland take an early lead, something we haven't seen a lot of this season. Josh Maja deflected in Lee Cattermole's volley from the edge of the area; it may have only been a faint touch but it was enough for the teenager to wrongfoot Richard O'Donnell. The visitors were on top for the best part of the first half with chances falling for Jerome Sinclair, Cattermole and Max Power, who notably skied one into the home end. Jack Baldwin looked solid at centre half with Tom Flanagan and they dampened any threat from the Bantams. Just before half time though, Bradford should've been on level terms when a chance fell for striker George Miller on the six yard line. He was carelessly left unmarked from a set play, and, after a few crosses went astray, one eventually found him but instead of bringing it down or heading it at goal, he decided to bicycle kick it. Unfortunately for him, it ballooned over the bar - a real let off for us. The second half came along and as usual Sunderland lost the momentum and were punished for it. O'Connor finished from close range with a volley, after being set up by Ryan McGowan via a throw in. It reflected how Sunderland should've capitalised when on top in the first period. However, the level terms didn't last long as two minutes later, from a free kick, Chris Maguire's cross found Baldwin who controlled it fantastically, turned before placing it beyond the reach of O'Donnell to give the Lads the lead with his first goal for the club. The second half was full of events and 10 minutes later, with around 25 minuets left, Power was stupidly dismissed. The captain kicked out inside the area, the referee didn't give it until the Bradford players had surrounded him. No doubt it was a red card but it looked to have happened off the ball, a debate whether it was actually a penalty occurred. It was massively stupid of him to kick out, especially after the Bryan Oviedo situation on Tuesday night. Jack Payne stepped up to the spot but Jon McLaughlin guessed right and turned it away, Payne should've buried the rebound but instead took a touch which allowed Tom Flanagan to slide in and put it out for a corner. It's the second penalty saved by the Scotland international this season. The action hadn't stopped there though as tempers rose, and tackles flew in, Maguire edged himself toward Sunderland cult hero status by laughing in the face of Mellor after an altercation next to the Sunderland fans. Not only that, in injury time Sean Scannell was shown a straight red for pushing George Homeyman whilst he was getting up off the ground. Both teams ended up with 10 at by the full time whistle but Sunderland took all 3 points back to the North East in a scrappy victory. Jon McLaughlin enjoyed his return to his old ground, playing a crucial part in the 3 points. No game next week as our home clash with Blackpool has been postboned due to too many of our players being called up to international duty. So our next game is at home to Carlisle United on Tuesday night in the Checkatrade Trophy before a trip to New Meadow on October 20th. McLaughlin: 7 - didn't have a lot to do but did a decent job when needed. Good penalty save too. Matthews: 6 - wasn't fantastic but wasn't awful either, made some mistakes but got forward well. Flanagan: 8 - was fantastic at the back and did well to deny the rebound from the penalty. Would even push it and say he looks better than Glen Loovens. Baldwin: 9 - man of the match contender for me there, looked solid at the back and even grabbed the winner. James: 6 - not really a physical player, did the job he needed to though. Would definitely prefer Hume as first choice left back. Cattermole: 7 - again looked fantastic, certainly found his level and back to being a fans favourite again. Power: 2 - he controls the midfield well but very nearly cost us the game with a stupid kick out. Now he's banned for 5, if they include the cup game again. McGeady (Honeyman '74): 5 - can bring some magic to the game but only if he can be bothered. Very lazy player indeed. Maguire: 9 - nothing much else to say apart from that this guy is one of my favourite players. What's not to love about him? Squares up to anyone or anything and then laughs in their faces. Brilliant! Sinclair (Öztürk '84): 5 - has certainly got something about him but is rather weak considering how big he is. Maja (McGeouch '70): 6 - his goal was a deflection which he did well to get on the end of, but apart from that he wasn't fantastic. Has a tendency not to jump or challenge aerially for the ball. McGeouch: 3 - doesn't do a lot and tries his best to keep away from the ball. Likes too much time on it as well. Not impressed so far. Honeyman: 5 - chased and chased but isn't a leader. Good player to have when down to ten though. Thanks for reading and keep your eyes peeled for an interview in the coming days!